She plans to collage and paint backgrounds and then add quotes and sayings to them. 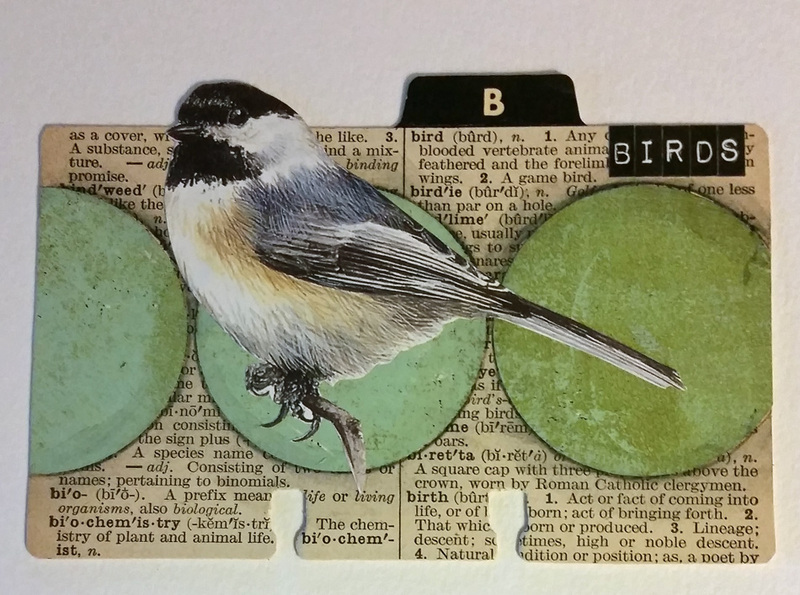 The circular stand makes it easy to display and leaf through the mini art journal cards. 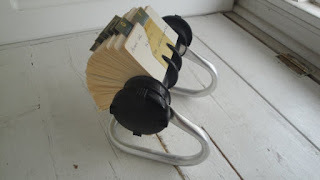 Today I found a different style of vintage Rolodex for my art journal cards in a local antique market. The cards measure 3" x 5" and I thought I would do art journal cards of things that I enjoy such as birds, quotes, songs, etc. and do them alphabetically. Working on a small scale is fun and makes for quick projects. 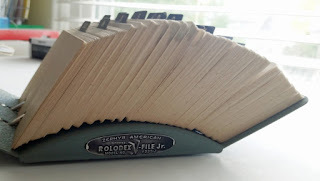 I'll share the progress of our sisters art project over time as we add to our Rolodex art journals. Tonight I made my first card. Birds, of course. 30 Day Blogging Challenge day 6. Love it! Where do you get all the bird pictures you use in your artwork? I can't wait to see what YOU do with your book pages, Leigh Ann! oooh, I love this idea. Thank you for sharing!! Thank you for stopping by, Dawn! What a fabulous idea. The finished (or even partially completed) project would be great on a living room coffee table so guests can browse through it as they wait for you to make them dinner. So true, Teresa! Part of what drew us to doing this project was the display aspect. Is there a template for cutting out cards from card stock? 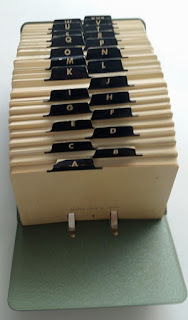 There is a die cut form, but I don’t have the machine. I’d love to use up pretty card Stock! 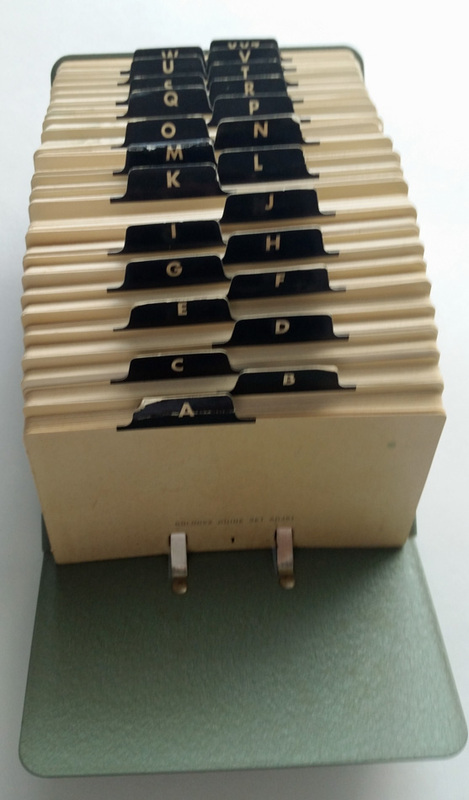 Gracie, if you can get your hands on a Rolodex card then you can use it for a template. Or if you find an SVG file for on online simply print it out on your printer and cut it out to use as a template. If either of those options don't work then email me: marybrack@gmail.com.